New for design trends this year is the emergence of minimalistic industrial-looking garden furniture. As we are nearing summer, people want their gardens to look as stylish as their houses and what better way to do that than in the designer way. More experimental than ever, this year’s designers are going all out to ensure the demand is met with an efficiency and creativity unlike ever before. 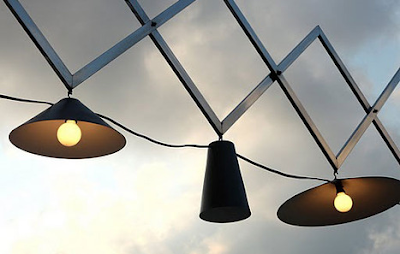 Designer outdoor lighting styles have usually been quite romantic and luxurious, but now the style has changed a bit. The example below is one of many that are both extremely practical and desirable for outside patios and/or roof top gardens. The Luna Garden Lights come with an extended arm which the lights hang from. It is highly manoeuvrable, meaning that it would not be too difficult to change its position from one place to another. 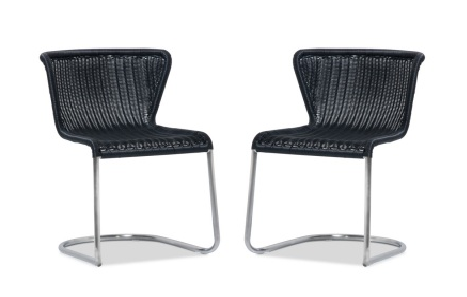 In keeping with this modern trendy look, black outdoor furniture is popular with designers at the moment. The rattan chair set has great shape, the metal frame is rust-proof and it is suitable and durable for all types of weather conditions. It would be perfect with a glass coffee table and some comfortable cushions on your patio or lawn. 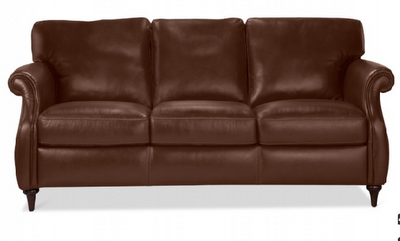 Also this year, not new, but revitalised, is the demand for leather sofas with a classic, antique aesthetic. Suitable for many spaces, whether your lounge is large or small, and decorated elaborately or subtly, a leather sofa like the one below could add that extra layer of suave to your home. For larger spaces, more than one with either matching or mismatching cushions could be an idea, although for a smaller space, it is best to keep the clutter to a minimum, providing the comfort of the area is up to scratch.